Legendary economist and value investor Benjamin Graham noticed the same bizarre P/E behavior during the Roaring Twenties and subsequent market crash. 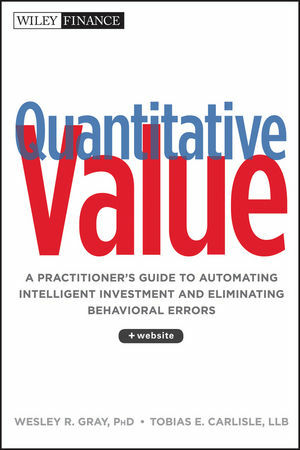 Graham collaborated with David Dodd to devise a more accurate way to calculate the market’s value, which they discussed in their 1934 classic book, Security Analysis. 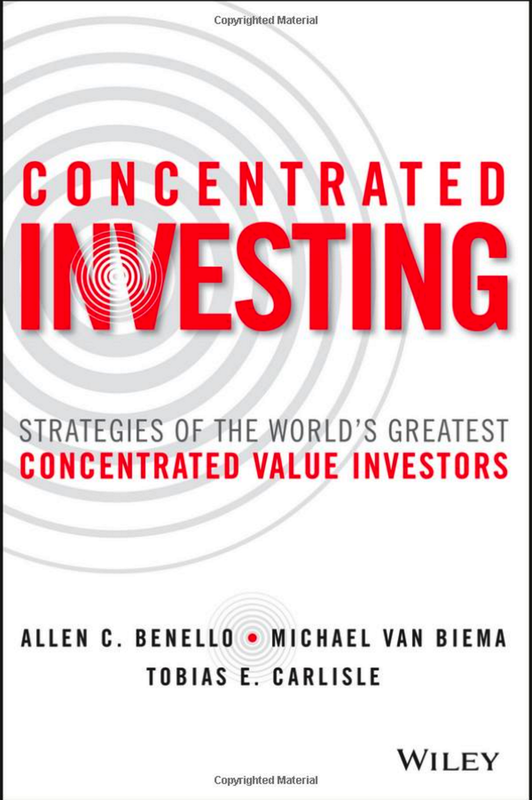 They attributed the illogical P/E ratios to temporary and sometimes extreme fluctuations in the business cycle. Their solution was to divide the price by the 10-year average of earnings, which we’ll call the P/E10. In recent years, Yale professor Robert Shiller, the author of Irrational Exuberance, has reintroduced the P/E10 to a wider audience of investors. 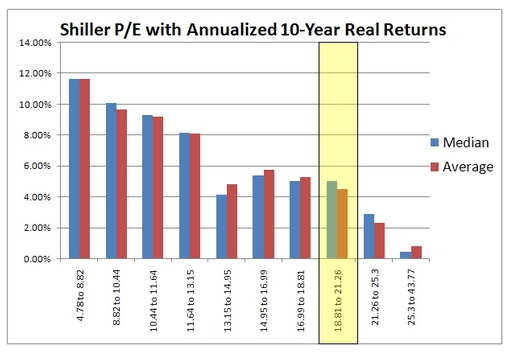 … The historic P/E10 average is 16.3. I assume that the 8th decile – the decile highlighted by Mebane – is the decile in which the market presently sits (although it’s right on the threshold between the 8th and the 9th decile). This would suggest that the median expected annualized real return for the market over the next decade is between 3% and 5%. Not great, but better than it was in April, when Dylan Grice was anticipating returns of 1.7%.